In keeping with my penchant for starting these kind of topics I thought it would be a great idea to find and post these photos of the rare appearance of the late pre war-early WWII fashion of the wear of DIs by officers on their Garrison Caps, so lets see what we can find. (please note that any one,s with the Patch type Crest finds, which so far a been a couple, should be posted in the ongoing Patch Type Crest topic rather then here, and to reserve this only for the Distinctive Unit Crests). First up, Capt Thomas D. Howie, 116th Infantry, Howie of course was KIA at St Lo, passing into legend as the Major of St Lo as commander of the 116th's 3rd Battalion. Edited by patches, 09 July 2018 - 07:45 PM. An unknown officer of the NYNG 244th Coast Artillery Regiment. 2nd Lieutenant James Jimmy Skipworth, 1st Infantry 6th Division in 1941 with his DI on the cap. Skipworth, a University of Georgia Bulldogs standout, lettered in 1938 and was team Captain in 1940 was KIA on Luzon as a Captain, presumably a Company Commander, he has an award the Silver Star listed, but lacking it's citation. Another Bulldog Football alumnus was Captain Henry T. Elrod USMC, MOH (Posth) got his letter in 1932. Edited by patches, 10 July 2018 - 08:02 PM. Hard to see I know, but here is another example of the fashion. An unknown Lieutenant, probably a 1st Lieutenant of the D Battery 180th Field Artillery Regiment 26th Division in 1941,Camp Edwards Massachusetts. Note he is a Great War veteran, and probably was an enlisted man then, and sometime in the 20s or 30s gained a commission in the Massachusetts National Guard (photo cropped from a world war I nerd posting in his topic about Wound Chevrons). A Officer of the 184th Infantry, 40th Division 1940. One Captain Richard Kinney 182nd Field Artillery Regiment Ft Leonard Wood, Summer 1941. Kinney a Michigan National Guard Officer in this unit, a Separate Artillery unit, is eventually transferred out and reassigned to the 26th Infantry Division's 102nd Field Artillery Battalion, by late 1944 he's it's Lieutenant Colonel, Commanding. For actions on 23 December near Bastogne he is put in for the Distinguished Service Cross, it will be a Posthumous award as Lt Col Kinney is KIA two days later on Christmas Day. He's still over there, at Hamm. The President of the United States of America, authorized by Act of Congress, July 9, 1918, takes pride in presenting the Distinguished Service Cross (Posthumously) to Lieutenant Colonel (Field Artillery) Richard W. Kinney (ASN: 0-381880), United States Army, for extraordinary heroism in connection with military operations against an armed enemy while Commanding the 102d Field Artillery Battalion, 26th Infantry Division, in action against enemy forces on 23 December 1944. 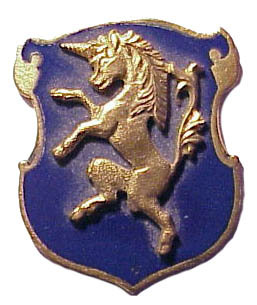 On that date, a strong enemy force was deeply entrenched along the main road between Redange and Grosbous, Luxembourg, delaying the advance of the elements of the 26th Infantry Division. 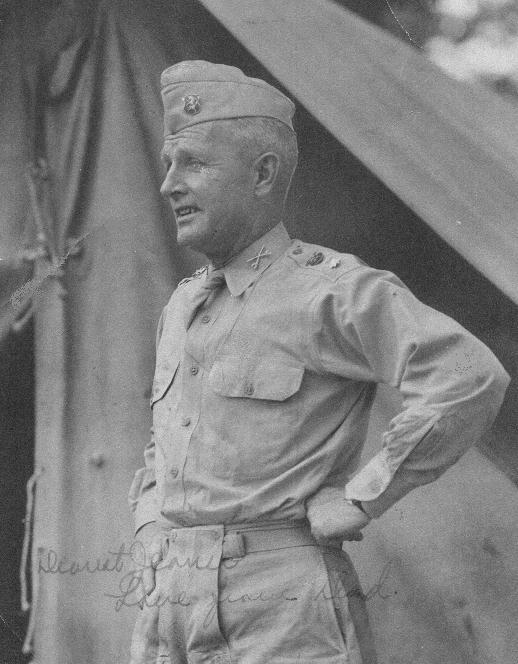 In order to direct artillery fire against this force, Colonel Kinney, Commanding the 102d Field Artillery Battalion, voluntarily advanced alone to a position close to the enemy lines. There, although silhouetted against a white background of snow and exposed to enemy fire, he courageously held his position and directed effective, concentrated fire upon the enemy, completely disregarding his own safety. Colonel Kinney's conspicuous heroism, fearless leadership and loyal devotion to duty exemplify the highest traditions of the military forces of the United States and reflect great credit upon himself, the 26th Infantry Division, and the United States Army. Found three more examples, these being in the 1941 LIFE magazine article on Uniforms of the Armed Forces, kinda hard to make out the DIs, but we were able too figure one of them out. A great period depictions of actual officer and men modeling the uniforms of the day. (These are individually posted in a Pinned topic by member Old Marine up in Uniforms). Two examples of an Coast Artillery Officer, believe his unit is the 207th Coast Artillery, (the old New York National Guard 107th Infantry redesignated and reformed). Edited by patches, 10 October 2018 - 06:43 PM. And the same officer in his Khakis. Here's that third one, an Air Corps Officer, we'll need some input from the DUI pros on this one, can't really tell what it is, couldn't even guess myself as pre war Air Corps DI's admittedly are not my strong suit, could be for what, a Group, a Wing, maybe even a Field, or a Training Installation. Edited by patches, 10 October 2018 - 08:04 PM. The photos are always a great source for study of period items. Thanks, yeah these are hard to find, more so that the 20s-30s DI that I started a topic on. Here it will be cause this fashion was somewhat brief, but it interesting when we do find an example of this to post. This brings up the questions of if there was a officers memo allowing this, or if it was just done on it's own initiative with it catching on among officers Army wide, and conversely, a memo sometime in late 41- 1942 or so, now prohibiting this, with officer now having to wear rank on the cap, as we noticed, while they are wearing the DI, they're not wearing their rank, not the Marine Corps officers right, who wore the EGA, and rank. A Capt John H. Fick C.O. of Headquarters Battery 250th Coast Artillery, in 1941 (photo cropped from a post man by new member T Ambrosini from that unit's yearbook). Colonel John A. Considine Commander, 6th Cavarly Ft Oglethorpe Georgia 1941. One more photo of Col Considine in 1941 with his DI on his overseas cap, and on the shoulder loops of his Khaki shirt.